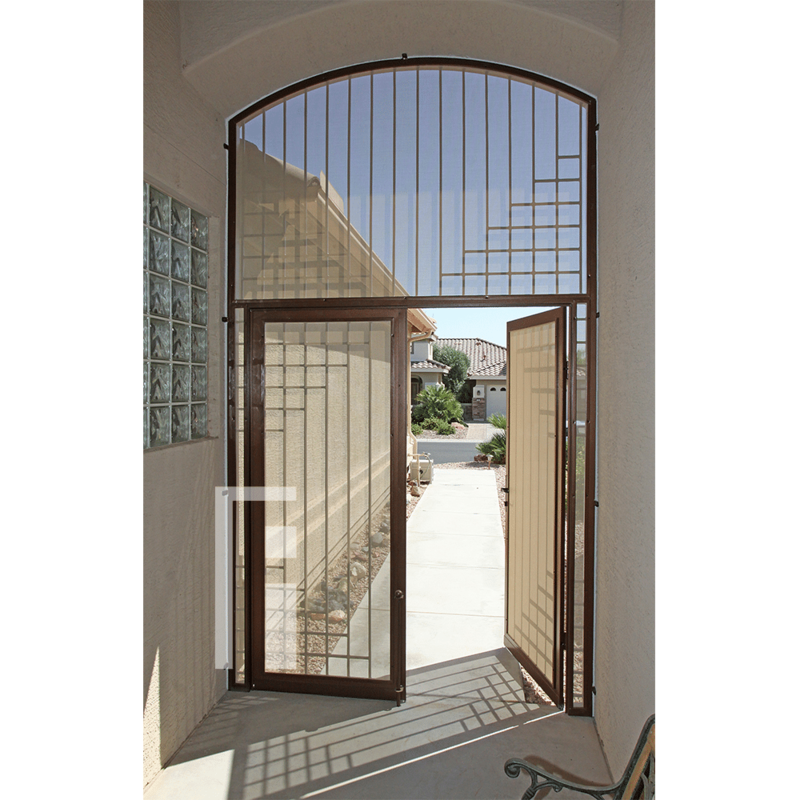 Iron Enclosures from First Impression Ironworks provide security and beauty to your home. Each full-frame iron enclosure is custom built to your home’s specifications, combining elegant iron frames with durable screens for a sealed entry or courtyard. Every iron enclosure is crafted from the most robust 100% American steel and is made locally in Arizona. A standard 10" steel latch and lock guard and name brand Kwikset or Schlage hardware provide top of the line security, so it’s ready to be integrated with the latest technology. 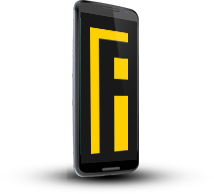 Your new iron enclosure can be created with powder coated arches, steel mesh screens, kick plates, composite or redwood, or artisan glass. 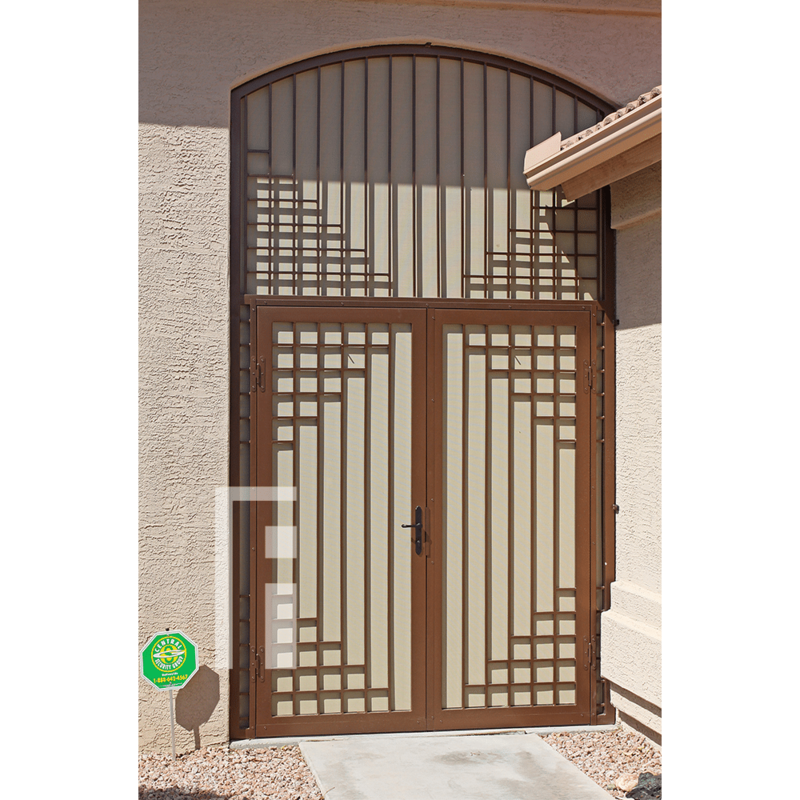 Our iron enclosures are available in a variety of styles from Contemporary to Southwest, Traditional, and Tuscan. Our design consultants are here to help! Call today to design your one-of-a-kind custom iron enclosure for your home.